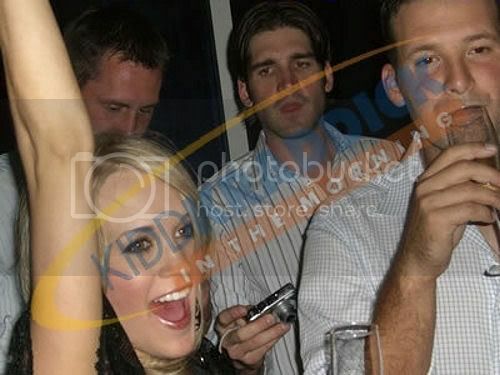 For months now Carrie Underwood has denied that she is dating Tony Romo. But, lo & behold, this photo seems to tell a different story. Underwood and Romo stayed in the deejay booth for around 45 minutes before returning to the VIP area. “They definitely weren’t keeping their relationship a secret,” says another insider. And Underwood put her singing talent to good use when she led the entire club in singing “Happy Birthday” to Romo. The club also had “Happy Birthday Tony Romo” posted on all its video screens. This weekend was not the first time Underwood and Romo have been spotted together. On Christmas Day, she showed up to watch the Cowboys play the Eagles, and Romo was spotted hugging her before the game. But in February, the football star told reporters at a pre-Super Bowl press conference that he and the singer weren’t an item. “She’s a very nice, sweet girl, I care for her and whoever ends up with her will be a very lucky guy,” he said at the time. A call to Romo’s rep was not immediately returned.